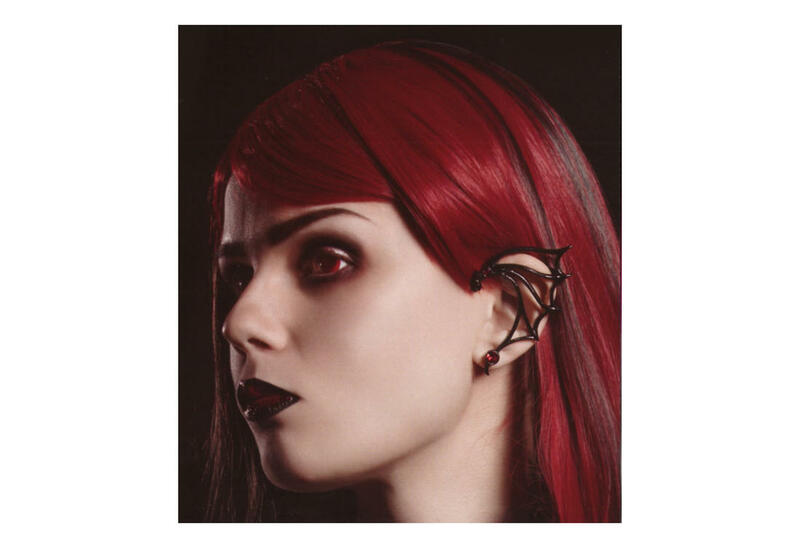 This black pewter ear wrap is stunning. 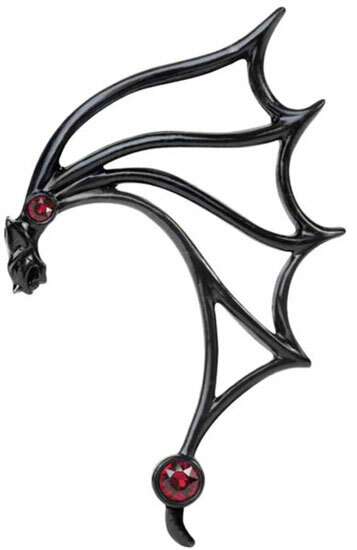 The gargoyle whispers in your ear and has a bat wing shaped frame. 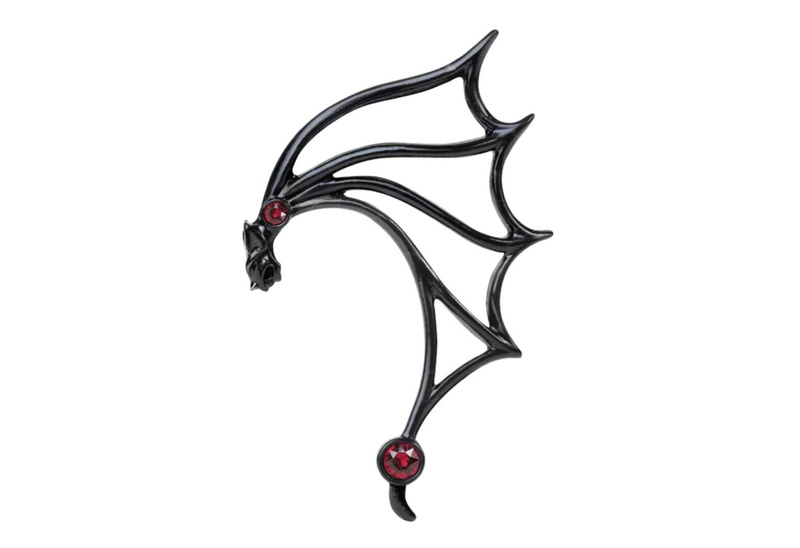 This ear wrap is set with two ruby Swarovski crystals and has a surgical steel ear post on the lobe. 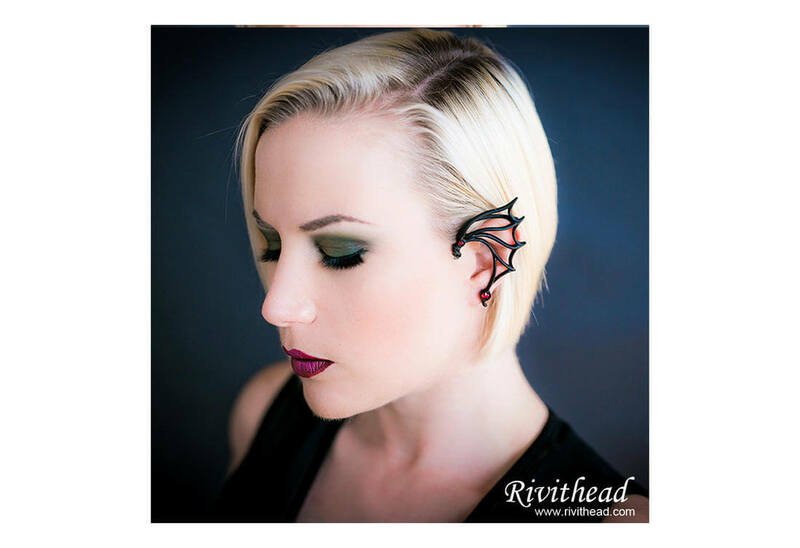 Made for the left ear only and can be gently squeezed to comfortably fit your ear.